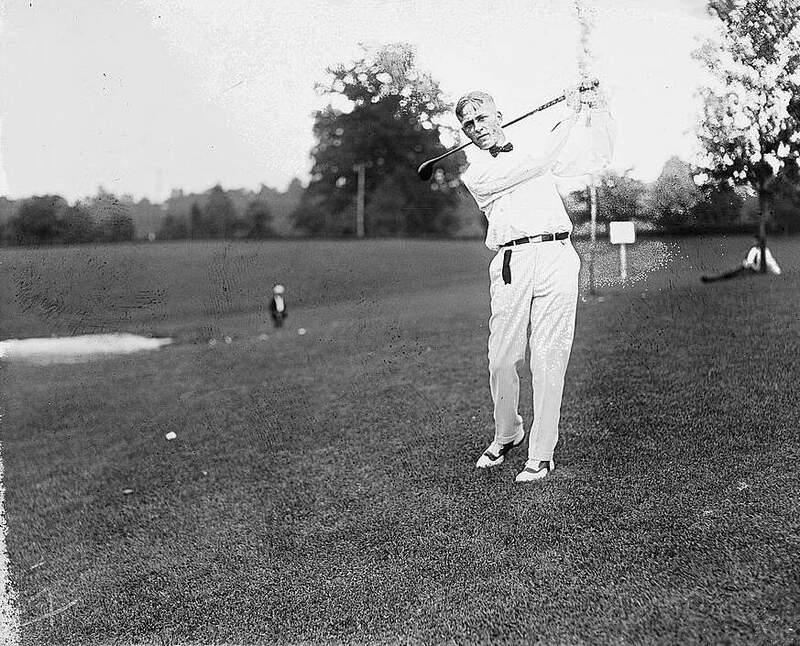 In honor of the Founder of Augusta National Golf Club and The Masters, here’s a photo of Bobby Jones from 1921. Jones won his first US Open in 1923. Jones would go on to win four US Opens (1923, 1926, 1929, 1930) and three Open Championships ( 1926, 1927, 1930). A lifelong amateur, Jones did not play in the PGA Championship. In the 1934 Masters, he finished 13th. While Jones played in the Masters until 1948, it was in a ceremonial role. In addition to the US Open and Open Championships, Jones won five U.S. Amateur (1924, 1925, 1927, 1928, 1930) and one British Amateur title (1930). Bobby Jones is still the only player to win all four Major Championships, as they were then construed: The 1930 US Open, Open Championship, US Amateur and British Amateur.